Growing numbers of property managers are announcing that they will be replacing letting fees with new charges for landlords. Letting fees were banned by Parliament earlier this month, with the ban due to come into effect from 12 December this year. 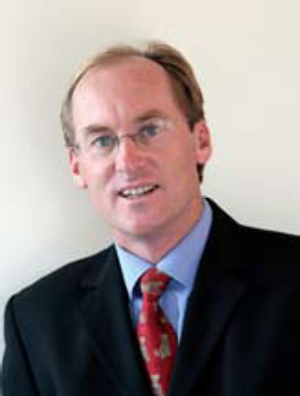 Housing Minister Phil Twyford, who says that letting fees are unfair to tenants, estimates the ban could put up to $47 million into the pockets of Kiwi families each year. Over the last few days, many of the larger property management companies – including Quinovic Group, Crockers Property Management, and Barfoot & Thompson – have confirmed they will now be passing letting costs on to landlords. All say they need to cover the time and costs associated with finding and placing new tenants, but descriptions of, and approaches to, the new charges vary. While Quinovic plans to charge landlords a "tenancy fee", which would be a flat rate of $550 plus GST, Crockers are opting for an "admin fee" of $20 a month for landlords - charged regardless of whether a tenancy changed or not. Barfoot & Thompson are still finalising their plans while others are likely to simply increase the percentage commission they take from the rent each week. But there is a high likelihood that the new charges will ultimately be passed on to tenants in the form of higher rents. Both the NZ Property Investors Federation (NZPIF) and the Real Estate Institute of NZ have long warned this could happen, while MBIE officials also advised Government that it was a risk. NZPIF executive officer Andrew King says it is reasonable to assume that property managers will recoup the cost of not being able to charge tenants a letting fee by passing the fee onto landlords. Further, tenants are likely to end up paying more over time, he says. “The MBIE officials advised that if landlords responded by raising rents, the likely increase in rent would be $9.99 per week. “Given that the average tenancy is around two years, this would mean that tenants actually end up paying more than the original cost of the letting fee. King says this situation shows that simply banning a practice doesn’t always result in the intended outcome. The NZPIF believes that whoever receives the benefit of the property manager’s service should be the one who pays the letting fee. Landlords who let their own properties, rather than using property managers, will not be affected by either the ban or by the planned new charges. It's also worth noting that not all property managers charge letting fees. The reality is that you cannot get rid of a cost by simply legislating it away. Someone has to pay - Tenant, Property Manager, or Owner. The Owner and the PM actually have no money, apart from that which they get from the Tenant. So it dooesn't take a great deal of brain to work out who, eventually, will bear the burden. The Landlords will not bare 1 single cent!!! all it means is a shifting of the fence posts and the rents will increase $10 per week to cover it, I well know I used to be a Landlord but after 10 years of disgraceful tenants and living standard by them we exited the rental property business and it was the best decision we ever made, even with term deposits at a miserable 3.5% we are vastly in front of rental returns! the respect tenants show to other peoples homes is absolutely disgraceful!!!! This is the next nail in the real estate coffin for investors. In Dunedin management companies are charging up to 15% management fees as well as kickbacks from maintenance. Now this on top of. On top of that the last few years have seen government compliance measures which never seem to cease and this has added cost on cost for landlords as well. There are better investment options than residential rental property and this will be the last straw for me. As the exit intensifies I hope that the government is prepared to increase taxes to take over the role of landlord. This is coming and I recall the saying 'citizens deserve the government they get'. Wait for it and good luck. Hi , $ 10 a week is a bit low. Our rental is $825.00 weekly. Harcourts have sent us a email detailing the new cost to landlords. 1 weeks rent PLUS GT. ( $ 948.75) $ 18.25 per week ! We are putting the rent up by $ 20.00 a week. In 6 months time, another rent agreement ? - another $ 948.75 ! Maybe I just put $ 50.00 a week on the rent now ? I'd love to hear other views on this new 'TAX' on Landlords.